If you have had a visa refused or cancelled you may be eligible to apply to the AAT for a review of that decision. The Merits Review will involve a complete rehearing of the application. They will reconsider the facts, law and policy of the original decision and determine which is the correct and preferable decision. Generally, applicants will be granted a bridging visa while waiting for the hearing date, which can take up to 18 months depending on the visa. A Bridging visa will remain valid during the time you wait for your hearing with the AAT. Work rights can be provided if a compelling need to work is provided. WHO CAN APPLY TO THE AAT ? You are in Australia and your visa was either refused or cancelled by the Department of Immigration. 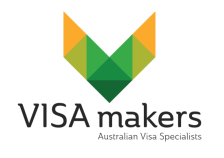 You are sponsored or nominated by an employer or another person for a visa, and you lodged this visa application outside of Australia. Approval of the sponsorship or nomination must be a requirement for visa approval. Your sponsor or nominator may apply to the AAT for review of the decision to refuse your visa application. Individuals who may be able to apply for AAT review on this basis include applicants who are sponsored by their employer (457, 186 or 187 visas), sponsor or partner (309/100 and 300 visas), family members (carer or remaining relative visas). If the visa applicant or holder is in Australia, then they are the person who should apply for review. If the visa applicant is overseas, then in most cases the Australian sponsor, nominator or family member makes the application for review. The business sponsor or employer must apply for review in relation to a refusal of a Standard Business Sponsorship or nomination application.